We have virtual tour pricing packages for different types of budgets for both custom 360 virtual tours for your website and for Google Business View listings. Please contact us for a free consultation to determine which package is right for your business. 2D Static Feature Photos: All Google Business View virtual tour packages come with at least 10-15 static 2D promotional feature photos with every package. These photos highlight points of interests of your business and are shot with wide angle DSLR lenses. Clients can also purchase additional feature photos beyond the initial package set. 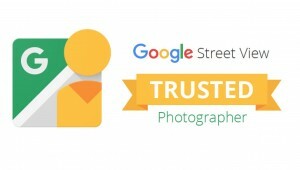 Unlike print ads like newspaper or magazine ads, businesses only pay for the cost of the photo shoot which includes the processing for your Google listing. Afterwards your enhanced ad with the virtual tour is hosted on Google for free through Google Maps, Google Plus Places, and Google Searches. Your virtual tour & feature photos are showcased on your Google Search listing and Google Business Places listing indefinitely. That essentially means long term virtual visual advertising on long term for just the photo shoot fee. *Other services such as strobe photography and video production services are available that we conduct and charge separately from Google Business photo-related photo packages. Please contact contact@businesswalk360.com for more info. All prices are subject to change.